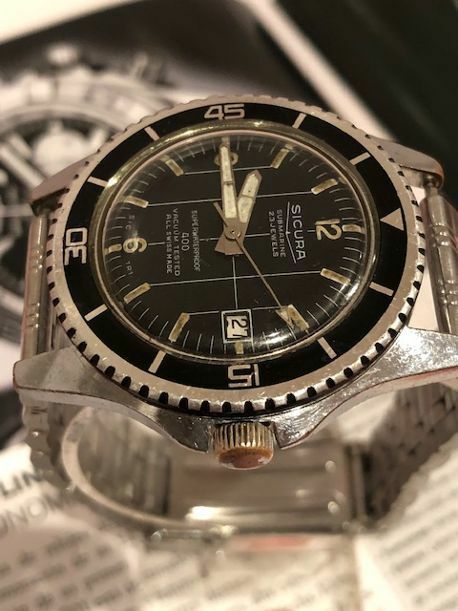 SICURA Submariner vintage watch from the 1960s/70s, in very good condition for its age, and read to be enjoyed for many more years to come. 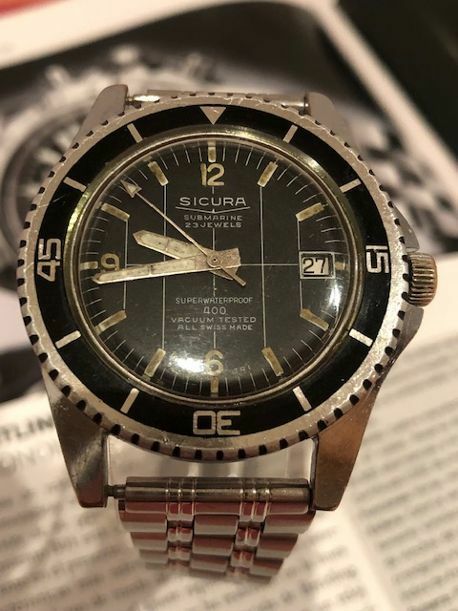 The wristwatch has been recently serviced by a watchmaker and it is in perfect working order. 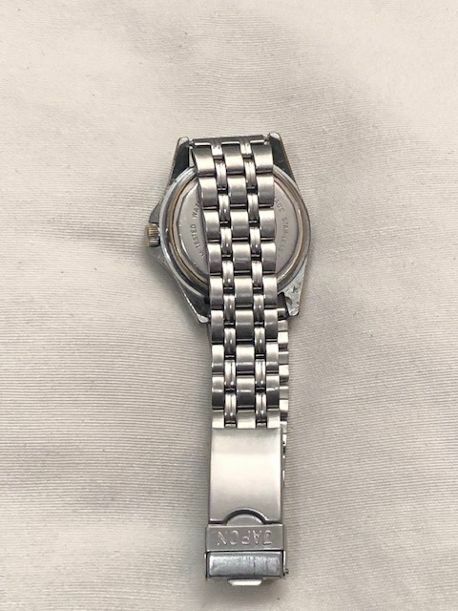 The watch casing comes in steel, see photos to see its condition. 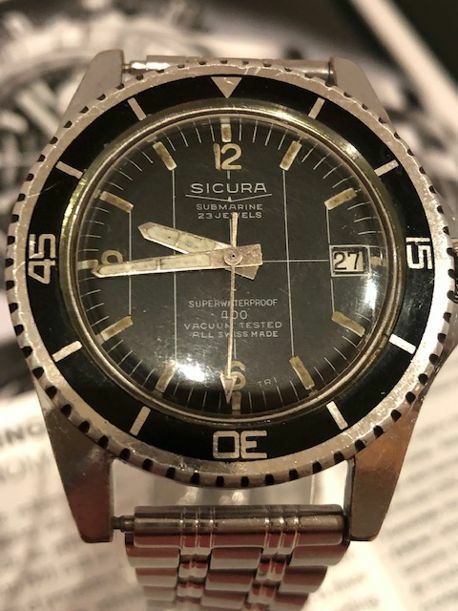 The dial is a beautiful black colour that gives it a very special vintage touch, the indices are in a greenish white with a very pretty old look, the brand SICURA submariner 23 jewels is inscribed at 12, it has a calendar at 3 and at 6 the inscription "superwaterproof 400 vacuum tested Swiss made" can be seen. 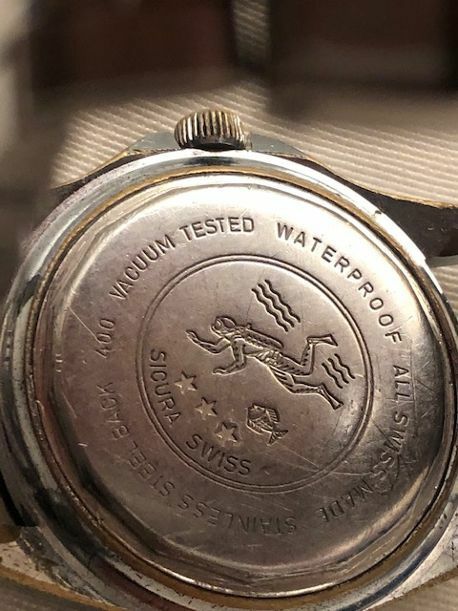 The water resistance of the watch is not guaranteed. For buyers outside the EU, charges derived from customs duties of each destination country are not included. 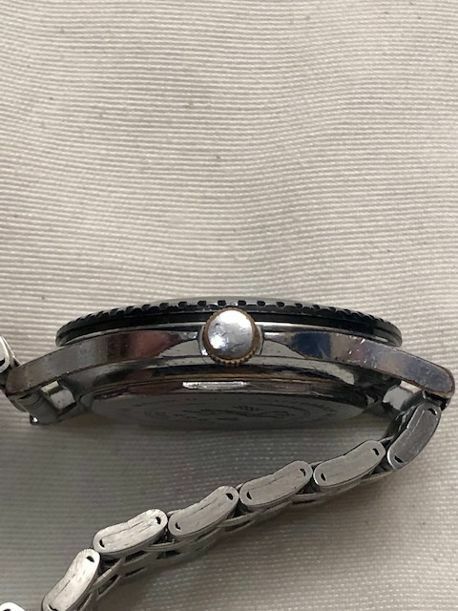 The strap is not the original by the brand, but it does match the watch's look very well and fits wrists of up to 22 cm. The shipment will be carried out via registered post with insurance, which is the safest way both for the buyer and the seller. A tracking number will be provided to the buyer so that he/she can track the parcel online. Watch works very well but the pictures did not reflect the degradation and damage on the dial. 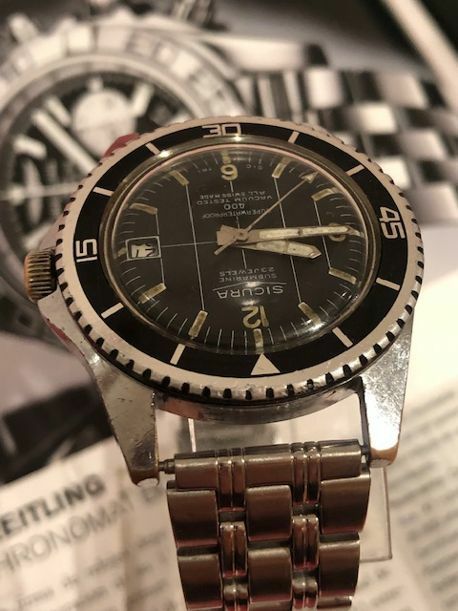 Both angles and quality of the pictures made it seem like the dial was in good condition. Item arrived a few days later with a good packaging and item is in a very good condition. It became a very nice birthday present to for my wife. Alles prima verlopen. 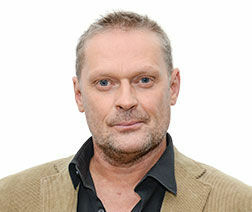 Mooi uurwerk zoals beschreven. Ik ben tevreden. la montre ne tient jamais l'heure, elle marche mal. 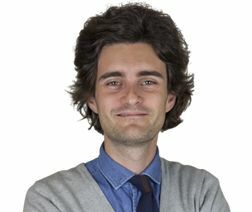 Vous auriez pu préciser, il y a un minimum d'honnêteté. C'est mon premier et dernier achat chez vous. Señor, todos los relojes son revisados, si el suyo no da bien la hora puede enviarlo y se lo volvemos a revisar porque tiene garantía. Un saludo y siento los inconvenientes. Watch runs very good. Good quality. Quick shipping and well packed. El reloj está genial! Tiene una marcha suave y perfecta. 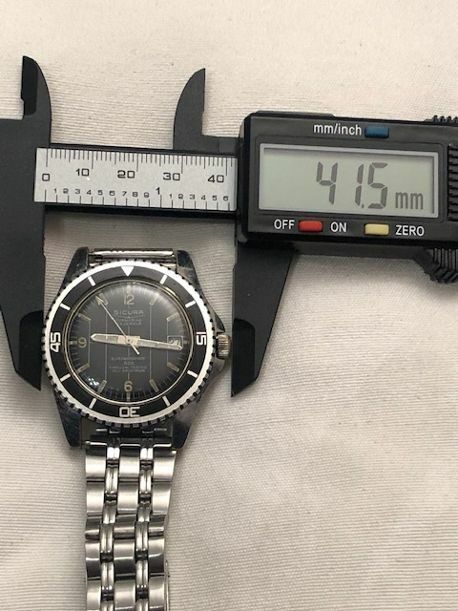 Watch arrived this morning (02-03-2019) in good condition and according the description . Very happy , thanks ! 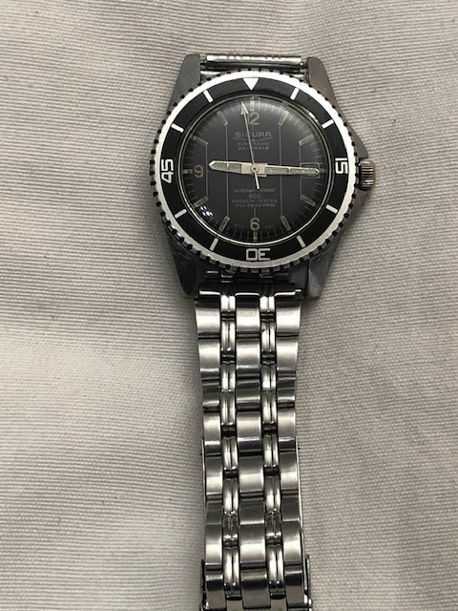 Reloj averiado a pesar de que se especificaba que funcionaba perfectamente. 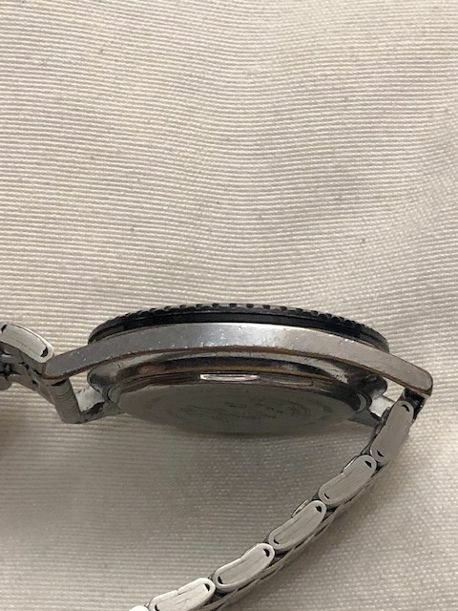 El reloj funciona durante unos pocos segundos tras agitarlo levemente y se vuelve a parar. Good transaction,perfect package,well pack thanks to you. Un placer tratar con una persona excelente. U kunt dit kavel ook ophalen bij de verkoper: Getafe (Madrid), Spanje.